How Important is Facebook Reviews for Your Business? What are the Different Expert Shops That You Need to Know When Owning a Car? A lot of busy parents are looking for ways to help their kids get through school with as little trouble as possible. Unfortunately, few working parents have enough time to help their kid with all of their homework and learning, and sometimes they just don’t know the stuff they need to know to help their kids through. That’s when most of these parents turn towards tutoring services, and aside from companies and small businesses, they often turn to individual tutors that provide in-home help. If that’s the name of your game, you may have found it a bit difficult to advertise your service so far. Thankfully, there are some ways to improve your chances, and even at a low cost. In the old days, most tutors advertised their services by placing physical ads and flyers in locations where students in need of help would easily find them, such as schools, libraries, and community centers. But if you’re targeting the parents of the students rather than the students themselves, chances are you won’t be reaching many of them through these methods. Instead, many parents rely on the internet to find out what kind of tutoring services are available said the principal of Ontario tutor private service Because this is the case, using the internet to your advantage is your best bet. The first option available to you is Google Places That is a Google service that allows people to look up specific businesses in their area. You can put the address of your business here, even if that is your home address, and parents will be able to see your business when they search for tutors in your city. You can also make use of Google Adwords, Microsoft Ad Center, or similar services. With these services, you can have advertisement through search engines themselves, and your ads will be visible to people that search for related keywords or websites. It’s a great way to reach as many individuals as possible. And of course, there are tutor directories. 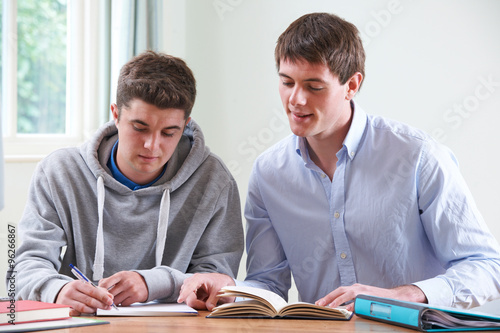 These are an extremely popular avenue of searching for tutors, and a lot of parents make use of them. Tutor directories allow parents to search for different tutors that are broken up into different categories for convenience. Some of these directories will allow you to list the services you provide for free, and some may charge a fee. There are ways you can see how much traffic a particular website is getting, so that’s a good idea before committing to any one site. That said, your best chance of reaching out to people you don’t know is the internet, but if you are targeting locally, you can always rely on word of mouth. It’s the cheapest method of advertisement there is, but it depends on your initial success to really spread. Either way, there are many ways you can advertise your business. Depending on where you desire to aim your business, different methods may work better than others. Do some experimentation and find out which methods are best for you, but definitely take advantage of anything that is free.